Thank you so much for the home inspection report, Definitely thorough. Will I recieve a bill by mail or can I pay for your services online? Thanks again for the thorough inspection. “Your inspection was of great value to me and my piece of mind. Knowing there were no major problems with my new home purchase” … I will pass your card on to everyone I know complete with RAVE reviews. Looking For a Pinellas county Home Inspector.... Here's what we offer you as a valued client...$75.00 Termite inspection, scheduled at the same time of the Home inspection thru a Florida licensed pest control operator or it's free. $25.00 Wind Mitigation and 4 point Inspections with your Paid Home Inspection. 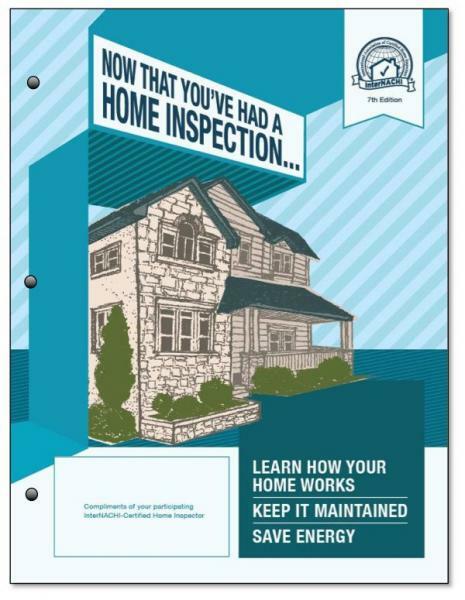 A Home maintenance book Called "Now that you had a home inspection" Pretty much explains how a home should work and maintenance tips on how to keep it in good working order. A 90 day warranty/5yr roof protection plan with and appliance recall chek.... Want an Inspection company that cares about their client, one who will spend the time to get the job done right and be able to convey the findings in a professional manner without the attitude. Give me a call or text me at 727-504-5053. or to make it easier just hit the call me button. I promise to get back to you right away. HHH Home Inspection Services LLC also provides Stand alone Insurance inspections for those who don't need a standard home inspection. A pinellas wind mitigation inspection is designed by law to save you money on your home owners policy. 4 point Insurance inspections are required on homes over 30yrs, and some carriers are requiring them on over 20yr homes, when you renew your existing insurance policy or are shopping around for a new one. Roof certifications are usally required where the insurer needs just the remaining life of the roof. The required 4 point form includes the roof certification. Please don't use the 4 point in lieu of a home inspection report. Two different animals. The 4 point is used by insurance co's to evaluate their risk...a home inspection report is design to evaluate your risks. Tom was very professional and easy to contact. He showed up on time and conducted a very in-depth home inspection. As a first time buyer, he was very informative on every aspect of the home and issues that may need to be addressed. He provided a detailed report within a day with photos and recommendations. We spent the whole 3-hours going through the house, he was very easy to ask questions and explained everything to us. I would definitely recommend him! Tom conducted a very thorough and professional home inspection for a two story house we are on contract to buy in Placido Bayou in St. Petersburg Fl. He was happy to have me follow him through the entire inspection, explaining everything as we went along. Tom did the inspection on 1 day notice, arrived on time, and delivered the report the following day. He even conducted a roof and wind certification inspection included in the price of the home inspection. The report was as thorough and professional as the inspection. Plenty of pictures, explanations, and degrees of concerns. I would and will be recommending Tom to anyone I know who needs an inspection.